Orchids Lux Home a manufacturer and wholesaler of Luxury Textiles and Accessories, sells to the Trade. If you are a industry customer, please contact us for our catalogue and wholesale pricing. Deepa, a homemaker and a first time entrepreneur, founded Orchids in 1986 to celebrate and share her love of home and her passion for interior design. And has since designed, manufactured and supplied to major Home Décor retailers. Fueled by three decades of commitment to ‘Home’, she recently founded Orchids Lux Home in Dallas, Texas to design, make and deliver Luxury Home Textiles and Décor to homeowners in collaboration with Interior Designers, Retailers and other trade professionals. At Orchids Lux Home we have gathered talented designers and lifestyle experts to create a timeless collection of designs that add luxury, comfort and style to the home. 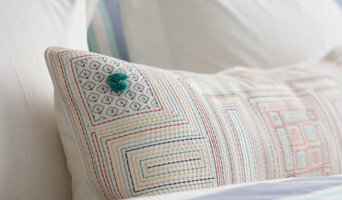 Our linens are Contemporary and Modern in design and are made using Hand Embroidery, Appliqué and Quilting. They are primarily composed of natural fibers - Cotton, Silk and Linen, as we strive to lessen the environmental impact. Our Design and manufacturing capabilities and expertise helps us to ensure unparalleled Craftsmanship, Quality and Delivery. DiaNoche Designs lights up and decorates homes with our Signature Illuminated Wall Art, bedding, shower curtains, canvas wall art, and more! More than 70 artists from around the world contribute their amazing art to create our products. Our Illuminated Wall Art is the perfect nightlight for the nursery, your kid's bedroom, a dark hallway, dim living room, or any wall or space that needs radiance. Images of artists' original works enliven a space during the day, while calming Illuminated Wall Art creates ambiance at night with the flip of a switch. Everything we manufacture is made just for you at the time it is ordered and not before. Our goal is for you to make a personal connection with your art and space. Express yourself in a new way, create something together with your loved ones, or design a conversation piece that will get used every day. At Modern Bathroom, we're dedicated to providing customers with the best prices, selection and service when shopping for bathroom remodeling products. Whether you're undertaking a full bathroom remodel or are simply replacing a few fixtures, we're here to help you find products that fit your style, at prices that fit your budget. Have questions about a product or need help placing an order? You can call us toll-free seven days a week and speak to a live person who is there to assist with whatever you need. An independent home fashions specialty store offering bed and bath linens and accessories as well as shades, blinds, plantation shutters and fabric window treatments. The store was founded in 1982 and we are proud to offer in-stock, special order and custom made products from the finest suppliers in the industry. 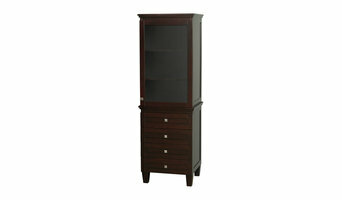 Our staff has over 50 years of home furnishings experience. Banarsi Designs offers one of a kind elegant and luxury home décor for every occasion with many bold colors and a great variety of styles. 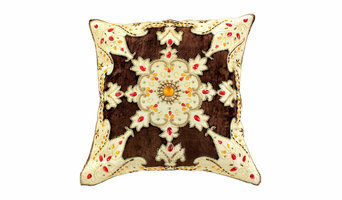 Our exclusive collection includes: bedding, table runners, placemats, accent pillow covers, and accessories. Pillow Guy is bringing lifestyle fashion into the "Man’s Home" starting with our line of luxury bedding. Why bedding? Well, between thread counts, fillings and materials bedding is pretty much the most complicated and confusing products to shop for. So, we went out, did all the research and development so you can sleep confidently knowing you're sleeping with the best Pillow, Comforter, Sheet, and Duvet sets to match your already fashion forward life. That’s why Pillow Guy is more than just a bedding brand. When you step up your bedroom game, you’re making a statement about the type of guy that you are and the type of guy that you want to be... a Pillow Guy. Custom Murphy Bed Manufacturer. We build unique Murphy Beds at our factory in Denver and ship worldwide. We go to the ends of the earth to find our extensive range of bath and bed products authentically sourced from suppliers we trust and made with the finest ingredients. Our customers agree they are beautifully finished and brilliant value. We offer a full range of pillows, duvets, bed linen, towels and mattresses, and much much more, all chosen to make the most of your moments of relaxation. And always at the UK's guaranteed lowest prices. At Zen Bathworks skilled craftsmen create luxurious wooden deep soaking tubs. Our expertise is in crafting beautiful hinoki ofuros and cedar hot tubs. Maison d’été propose de nombreux articles de linge de maison pour une décoration intemporelle: une large gamme de rideaux en lin, linge de table, linge de lit et accessoires dans la noble tradition française de fabrication de linge de maison. Les produits Maison d’été sont d'une qualité irréprochable et permettent de donner une ambiance particulière à votre intérieur avec une décoration douce et élégante...Nous proposons également une gamme de lin, lin lavé, gaze de lin au mètre de grande qualité pour tous vos projets de décoration sur-mesure. L’histoire de Maison d’été débute en 1999 avec l’ouverture d’une boutique de décoration à Sainte-Maxime dans le var. Au cours d’un voyage en Inde, sa créatrice, Isabelle, rencontre des artisans spécialisés dans le lin et c'est ainsi que commence l’aventure. Dans un premier temps la collection est distribuée dans des boutiques sélectionnées, et ensuite avec la participation de Maison d’été au salon Maison & Objet à Paris, salon international de la décoration, la distribution du linge de maison s’étend à l’étranger et notamment au Japon et en Corée du sud. Le fil conducteur de la marque est l’utilisation de matières naturelles pour un effet sobre et chic. Depuis, la collection Maison d’été s’est étoffée avec des accessoires: coussins, trousses, tabliers et bientôt le retour de bougies parfumée, Made in France, aux parfums évocateurs: figue, fleur d’oranger, thé indien et verveine-citron… -------------------------------------------------------------------------------------------------------------------------------------------------------- Maison d’été offers you household linen made from natural linen and cotton materials in the best French tradition, with a touch of modernity: bedlinen, linen curtains, blinds, table linen and small decoration items. The Maison d'été approach is based first and foremost on the idea of really feeling at home by making one's home a haven of peace - a place where quite simply, life is good, and entertainment and sharing come naturally. Experience the luxury of CASA di LINO, Dallas’ premier boutique featuring the best in luxury couture bed and table linens, imported bathroom essentials, exquisite gifts and collectibles, and most importantly, unmatched customer service. In addition to high-thread-count Egyptian cotton designer linens from such well-known manufacturers as Anichini, Ann Gish, Nancy Koltes Fine Linens, SDH, Home Treasures, Bella Notte, and Matouk, CASA di LINO showcases a wealth of luxury home accessories. From dazzling lighting to custom upholstered furniture and decorative accessories, we can enhance any bedroom, bath or dining room. For one-of-a-kind chic, we feature distinctive custom bedding, bath and tabletop ideas, gifts and collectibles from artisans across the United States and Europe. Owner, Jessica Martin, and her expert design team, offer over 50 years of high-end retail experience, delivering discriminating clientele the ultimate in service and product knowledge. CASA di LINO… Where boutique bedding, designer linens, and luxury home accessories make any house, home sleek home. Terry Life è un marchio Italiano, che crea e produce Biancheria per la casa, personalizzata e su misura. Il team formato da Interior designer, tecnici tessili e sarte con maturata esperienza, lavora con passione ad ogni progetto proprio o in collaborazione con studi di architettura in tutta Italia. Offriamo al nostro cliente Lusso e Benessere nella vita di tutti i giorni, con biancheria che amiamo definire fresca, dinamica e attuale. Utilizziamo solo fibre naturali ma tecnologicamente avanzate. Asciugamani, accappatoi e tappeti bagno su misura, in spugna di cotone e bambu, lenzuola su misura in Puro lino No-Stiro, o in raso di fibra di legno. Tovaglie su misura antimacchia, Classiche, o No-stiro. K&R has been in the custom bedding and drapery business for over 40 years. We have a 28,000 sq foot workroom located in Salt Lake City, making it one of the largest workrooms in the area. Our workroom is open to the trade, we can make anything you need in any size. Most orders are done and ready in two weeks or less. Pure, natural linen, the way it used to be.